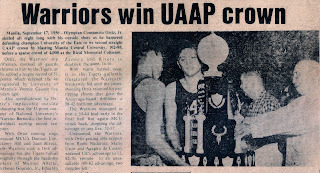 The date was misprint, this article is from 1958 and not in 1956. 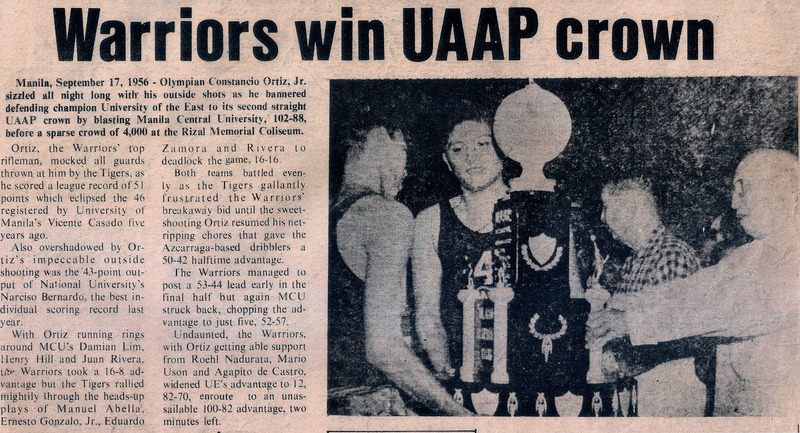 The UE Warriors won the UAAP Crown over Manila Central University Tigers. 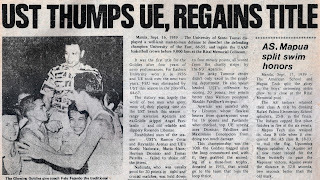 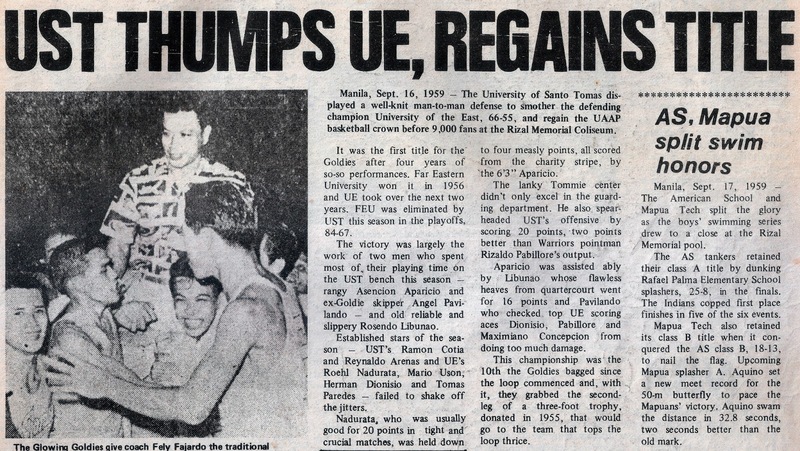 In 1959, UST regains the UAAP title by defeating defending champions UE Warriors.